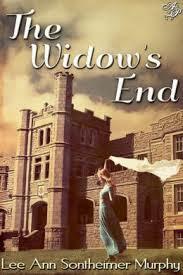 Blurb: When widow Katie Lafferty arrives at the Pythian House, a home for widows and orphans, she has little hope for the future. She soon learns the reality offers more grueling work than she could have imagined. One of the few bright spots in her daily drudgery is Latin Master Everett Brown at the school across the street. As Katie struggles to conform to the rules and settle into her new life, she looks forward to her chance meetings with Mr. Brown When she fails to meet the standards of the home, her future becomes even more uncertain. If she has a knight in shining armor, it’s Everett Brown. I recently signed on to review books for Astraea Press. I'm excited about this because Astraea Press is known for their clean romances and that is how I like my romances! Clean. :) My thanks to Astraea Press for allowing me to read and review books for them. This book is super short. I sat down to read it and it was over in about 20 minutes. Talk about a romantic snack in between meals! There is nothing over the top or in depth about this book. It's simple, straight forward, easy reading and it left me feeling good. I loved the orchard scene and the first kiss. So sweet. Every girl deserves a knight in shining armor.